Govino really means go anywhere. 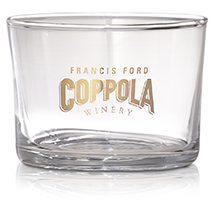 This revolutionary vessel was designed for the ultimate enjoyment of fine wine. 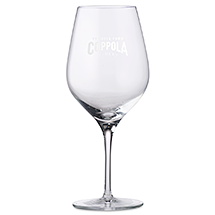 The unique ergonomic thumb-notch makes wine swirling most simple. Govino wine drinkware is made from a proprietary, food-safe grade polymer "aka" PETG, which reflects a wine's color and projects its aromatics much like crystal. 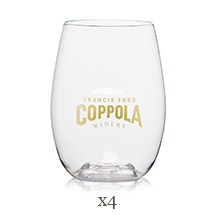 The drinkware is sold as a set of four and are printed with the Francis Ford Coppola Winery logo for the perfect keepsake or unique gift! They are shatterproof and are great for use at home, on a picnic, poolside, port-side and at the beach. Best of all...Once your vino is gone, your govino can be reused or recycled. 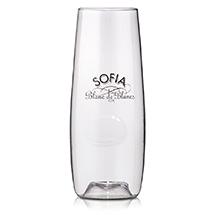 To ensure the optimum wine tasting experience, replace your govino drinkware after an extended period of use. Govino was designed for commercial use and can withstand most industrial sanitation systems (1-2 minutes at 160 degrees).